Looking for an engrossing adoption memoir? A children’s book that can help you talk about adoption with your child? Find reviews and recommended adoption book lists below. Halmoni's Day is not an adoption book, but the ideas of shared heritage and cultural pride will ring true for adoptive families. Mommy Far, Mommy Near-An Adoption Story, by Carol Antoinette Peacock, is exceptional. I really loved the fact that the story is told by a child to other children-the book's readers. A Koren adoptee reviews Ten Thousand Sorrows. The memoir was written by a women of similar age and circumstances, but she didn't feel the connection to the book she expected. This Newberry Award winning book features a foster child in search of his father. Birthmarks: Transracial Adoption in Contemporary America, by Sandra Patton, is a multilayered synthesis of interviews conducted with 22 transracial adoptees. Read more! Lily Heyen-Withrow reviews The Russian Word for Snow, by Janis Cooke Newman, a tale of infertility, adoption, and all the complications along the way to parenthood. In The Lucky Gourd Shop, an adoptive mother imagines her son's birth mother's life. A Guidebook for Raising Foster Children, by Susan McNair Blatt, M.D., is a primer for parents who are new to foster adoption and need help. Read the review. If I adopt a baby whose mother may have been using drugs or alcohol during the pregnancy, what issues might I expect for my child? Are there any differences if the infant has been exposed to alcohol versus drugs or both? I am the sun in her world-the only parent she has ever known. Children under five, with no sense of time and history, can't always grasp that a parent means it when he or she promises to return. Into this gap comes The Kissing Hand. Many new books with adoption storylines or themes were published in 2013. Here are your favorites, for parents and children, with our picks added to the list. An Adoptive Families reader reviews The Child Catchers, by Kathryn Joyce, a book revealing how religion and finances have affected international adoption. 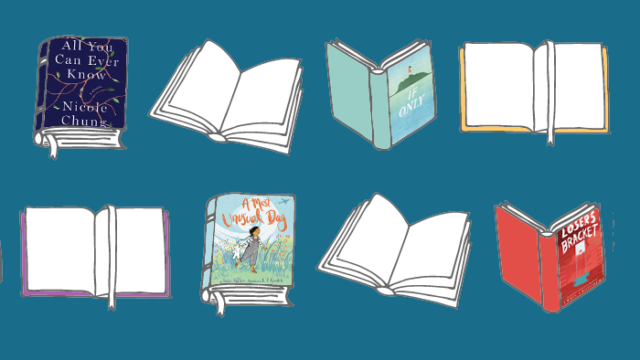 Readers pick their favorite books to guide parents through the adoption process. JoAnne Solchany, Ph.D., reviews Best Friends, Worst Enemies: Understanding the Social Lives of Children, a window into how children form and maintain friendships. "It’s a funny reminder that we can’t just tell our kids to love the new addition. Their annoyance and dislike are normal."